Welcome back to Island U, TTI’s new weekly round-up. After two more weeks of intense play at the Miami Open, Nicholas Nemeroff returns to grade the best, worst, and welcome several new names onto the Dean’s List, where players who earn three or more grades are filed into an easy-to-follow GPA system. For the second straight season, World No. 1 Novak Djokovic has completed the Indian Well-Miami double. The Serb’s road to the title didn’t come without some hiccups, but he successfully navigated through each and every hurdle. The first part of Djokovic’s year has been his finest since his career-best 2011 season. What a tournament it was for John Isner. The American defeated three of the ATP’s fastest rising stars in succession: Grigor Dimitrov, Milos Raonic and Kei Nishikori. Though he was ultimately beaten by Djokovic in the semifinals, it was a tournament to remember for Isner, and a major turnaround after a mediocre start to the season. For the second straight tournament, Stan Wawrinka was sent packing much earlier than most would have expected. The Swiss No. 2 fell to Robin Haase in Indian Wells and found similar fortunes in Miami, losing to Frenchman Adrian Mannarino. Mannarino has had a terrific win and is clearly playing at a higher level than Haase, but Wawrinka will surely be disappointed with both losses. 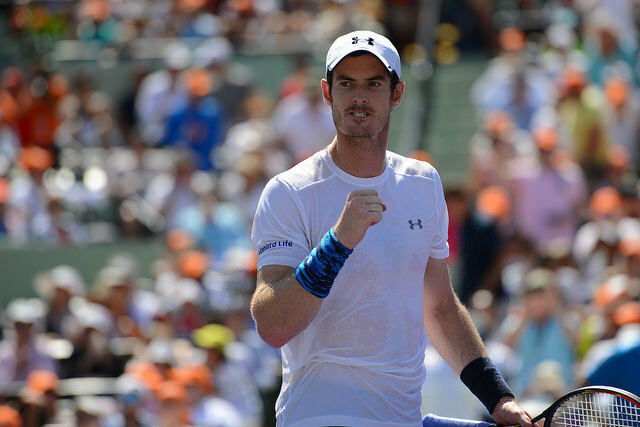 Yes, Andy Murray was one set away from winning Miami. Yes, he is in much better form than he was in 2014. Regardless of this, the Brit continues to come up short against his biggest rivals – particularly Djokovic. Murray has now lost 10 consecutive hard court matches against the World No. 1. The third set of the Miami final proves that though Murray is close to winning big tournaments, he’s still getting outplayed and outworked in the clutch. After failing to convert any of the three match points he held against Milos Raonic in Indian Wells, Nadal went to Miami and found himself on the wrong end of a rivalry he had owned going in against compatriot Fernando Verdasco. While his compatriot deserves due credit for playing a fine match, Nadal was just not anywhere near his best and admitted afterwards that nerves – of all things! – got the best of him. Miami may prove to be the turning point of Dominic Thiem’s season. The young Austrian had reached the quarterfinals of just one event in 2015 prior to Miami, but was able to turn things around, winning four matches (two three-setters) before losing in three sets to Andy Murray. After having to withdraw in the semifinals of her return in Indian Wells, Serena Williams made a resounding recovery, winning the Premier Mandatory event in Miami, dropping just two games in the final against Carla Suarez Navarro. The legend and legacy of Serena Williams just keeps growing and growing. Despite being overmatched in the Miami final, it was a wonderful accomplishment for Suarez Navarro to reach her first ever Premier Mandatory final. The Spaniard impressively took out seeded players in four consecutive rounds including Agnieszka Radwanska, Venus Williams, and Andrea Petkovic en route. Halep was on the precipice of reaching – and possibly winning – her second Premier Mandatory event before she succumbed to eventual champion. The fact that Williams was the only thing stopping Halep from the ever-elusive Indian Wells-Miami double speaks volumes to where her game is at right now. Neither Indian Wells nor Miami didn’t go quite as Maria Sharapova planned. Unable rebound from her loss to Flavia Pennetta in the desert, the Russian stumbled in the second round to 21-year-old Russian Daria Gavrilova in Miami. Not at exactly the results the Australian Open runner-up would have been looking for. Bouchard’s fate in Miami was similar to Sharapova’s, as she also went down in the second round to another much lower ranked opponent. The Canadian has reached just one quarterfinal in four events this season. The elder Williams’ stunning start to 2015 continues, and though she lost a tight encounter to Suarez Navarro, the American has much to be proud of as the hard court season concludes. Williams continued her mastery of Caroline Wozniacki before bowing out to the eventual finalist for the second straight tournament. Talk about potentially salvaging a season. Prior to Indian Wells and Miami, Lisicki had won a grand total of one match the entire year. After reaching the semifinals of Indian Wells, the hard-hitting German won another three matches in Miami to reach the quarterfinals, before losing to Williams in three sets. Miami proved to be yet another encouraging outing for the previously slumping American. Stephens won seven combined matches in Indian Wells and Miami. Losing to Serena in Indian Wells and Halep in Miami, the American has nothing to be ashamed of. How would you have rated the field? Sound off in the comments!